It is estimated that one out of six people in the U.S. drink too much. It is not always easy to know when regular drinking is crossing the line from acceptable and moderate to a problem. Even casual drinking very easily leads to alcoholism. Drinking has become so common in so many cultures that its effects vary widely for each person. Therefore, it really depends more upon how drinking is affecting a person than anything else, in determining whether a problem exists. Below are some signs to watch for that could help one divert potentially devastating safety, health and financial consequences for those who drink too much. 1. Feeling guilty or in any way ashamed about drinking can be a clear sign that an issue exists. Often, this is accompanied with lying to others or hiding drinking habits. 2. When friends, family or co-workers appear to be worried about how much a person is drinking, there is usually a reason. Generally, people only get this impression when they notice increased and alarming behavior patterns. 3. Relying upon alcohol to get through the day and as a go-to measure to feel better or relax is another sign that someone may be drinking too much. 4. Anyone who regularly drinks more than they intend to or forgets what they did or blacks out while drinking is most likely having too much to drink. 5. Reckless behavior with regard to drinking is a sure sign that a problem exists. For instance, neglecting home, work and relationship responsibilities because of drinking is problematic. It often results in poor work performance, flunking classes at school, neglecting children or canceling commitments due to being hung over. Also, people who are getting arrested for either drunk and disorderly conduct or driving under the influence are most likely drinking far too much alcohol. 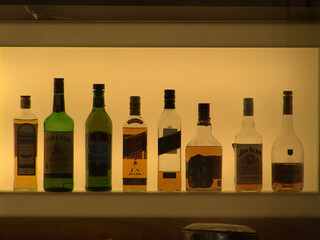 For many people, alcohol abuse leads easily to the probability that they could be targeted for a DUI. This is largely due to the fact that alcohol affects thinking and judgment every time someone indulges. Because of this, people are in no position to drive safely, which is why so many alcohol related accidents and fatalities continue to occur. The legal ramifications that people experience when they drink and drive are severe since the risk to others is so high. In fact, the penalties imposed can have life long and irreparable effects. According to New Jersey attorney Evan Levow, some states also do not allow a restricted driver’s license for those convicted of a DUI. Since alcohol abuse can sneak up on people, it is very important to be aware of the various warning signs as detailed above. Doing so will help people to avoid the numerous and potentially devastating health, safety and legal implications associated with alcohol abuse. What Questions Should You Ask When Choosing a Rehab?